'Right now, we exceed by a good margin what we normally have at this time of the year and we’re also exceeding the average peak for the winter season.' - Denis Dubé, senior ice forecaster with the Canadian Ice Services. 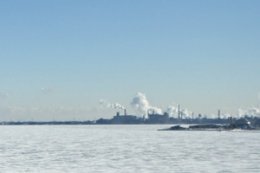 “Right now, we exceed by a good margin what we normally have at this time of the year and we’re also exceeding the average peak for the winter season, ” says Denis Dubé, a senior ice forecaster with the Canadian Ice Services. The amount of ice coverage is significant this year due to how early in the season it formed and the cold snap brought the ice in really fast. 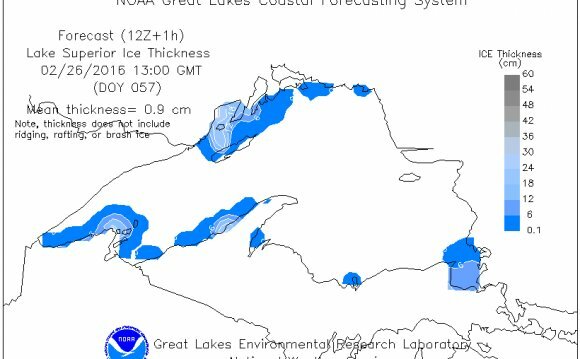 “Ice was reported on parts of the Great Lakes in the latter part of November, while usually it starts in mid-December, ” Leshkevitch said.